This time last year, I was just a few days away from completing my very first (and probably only) marathon. That’s 26.2 miles. I still can’t believe it really happened, but there is proof. Thank God someone had a camera. The terminator shades hide it well, but I was sobbing uncontrollably as this picture was being taken. Tears of joy. Tears of relief. Tears of pain, because oh my God… my hips feel like they’re dislocating, my muscles are seizing, and my knees are on fire. I wouldn’t say I’ve been lazy since then. I guess I’ve just been less intense. I told myself that this year, I was just going to enjoy myself and enjoy being active. I didn’t want the pressure of a big race, and I didn’t want the constant dread of another 10, 15, or 20 mile run hanging over my head. The marathon made life complicated and made my frequent out-of-town trips difficult to plan. I guess that’s why it’s so rewarding… because it’s really just effing hard to run a marathon. So, instead of committing to another insane challenge, I’ve been walking, biking, and leisurely trotting around my neighborhood often and whenever the hell I please. It’s exercise I enjoy, and it’s been magnificent. The only problem is that now, I’m starting to feel like I need a little kick in the pants. 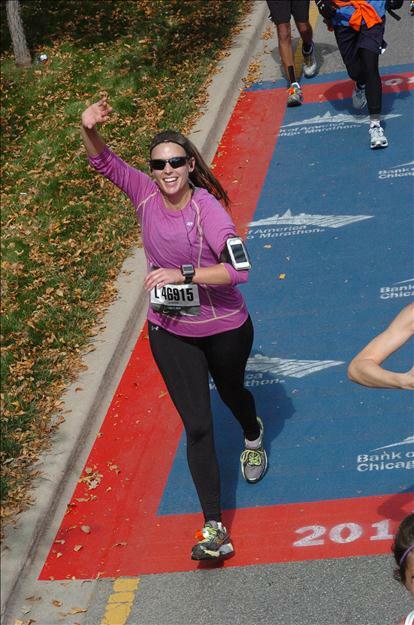 One year ago, I was able to run 26.2 miles straight. Just once, but still… it happened. Now, I’d be lucky to finish 3 without stopping. B) Does this mean I can have more stuffing? C) No negotiating. 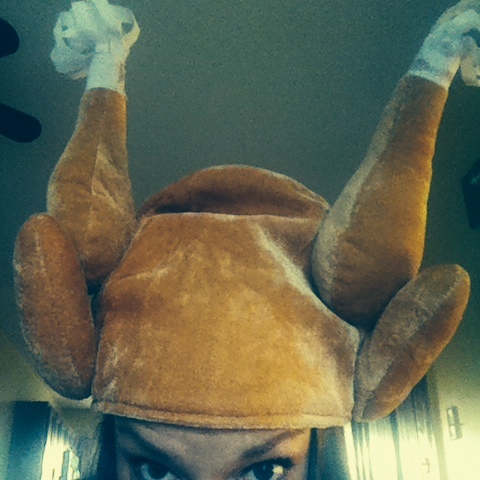 My favorite turkey drumstick hat will be worn. D) What the hell. Sure. I’m telling you, because I’m excited to get started. I really do enjoy running. It gives me confidence and time to think. I’m planning to momentarily update you on my progress, and I hope you’ll keep me accountable. I’m also hoping you’ll share how you keep in shape. What’s your favorite way to burn calories? Kayaking? Zumba? Prancercising? Seriously, I want to know. 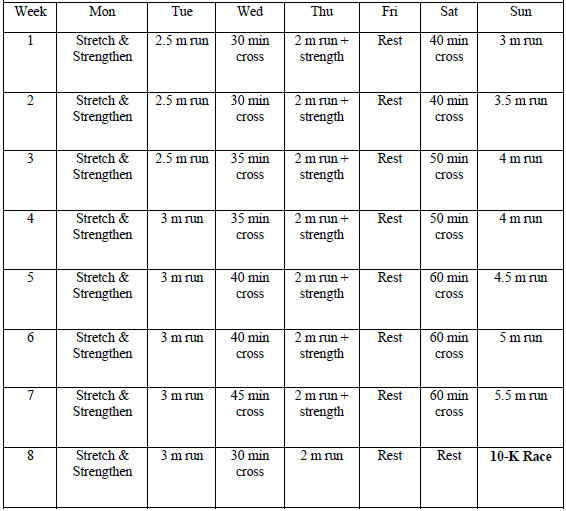 Training with the Hal Higdon 8 week 10K program starts MONDAY! Check it out. Totally doable, right? Stay tuned! Posted in Fitness and tagged 10k, exercise, fitness, hal higdon, jogging, marathon, race, running, thanksgiving, train, training, turkey trot. Bookmark the permalink. This is so inspiring!! Love the calendar so much. I want one. Thanks, Jess! I just cut-and-pasted the calendar from Hal Higdon’s training site. Not sure if you’re into running, but his programs have worked really well for me in the past. He has guides including everything from fitness walking to senior races to super expert marathoning. Love him! Thanks for the input, Maria… and thanks for stopping by!